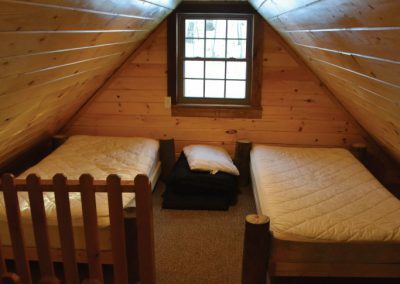 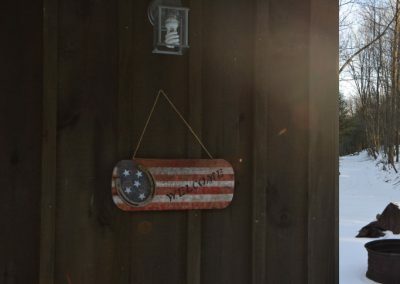 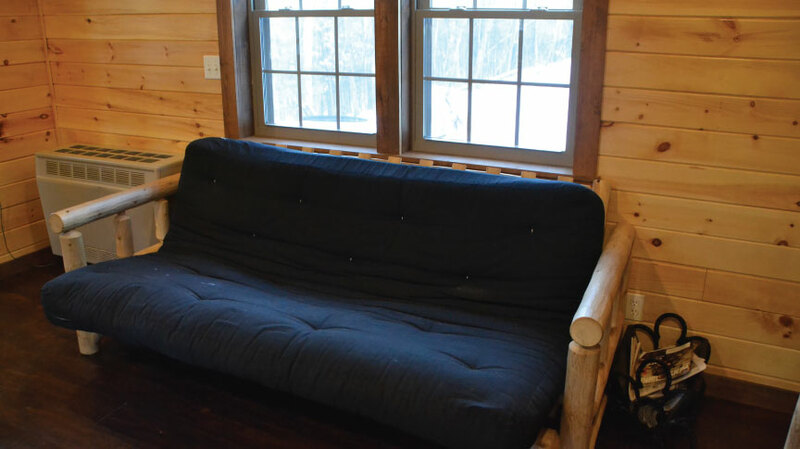 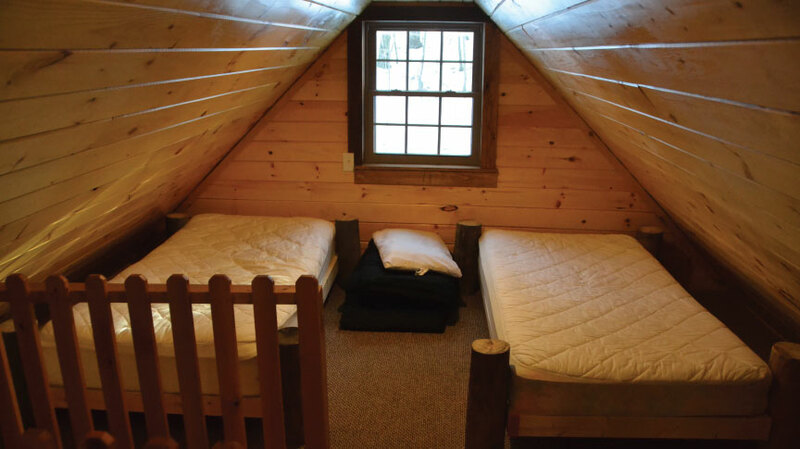 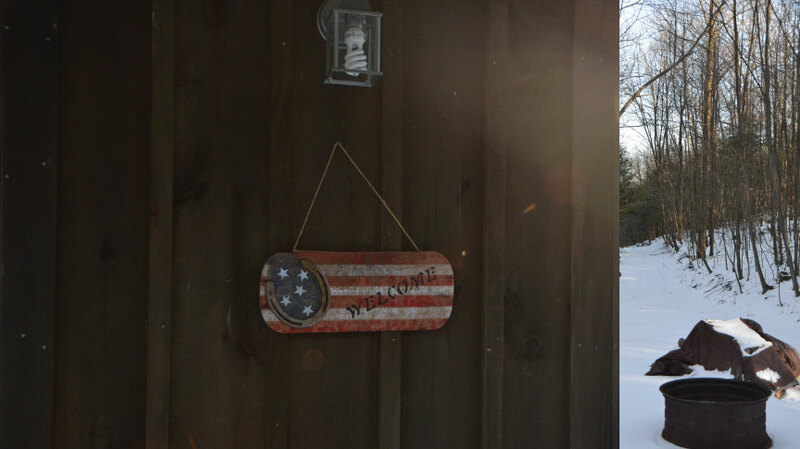 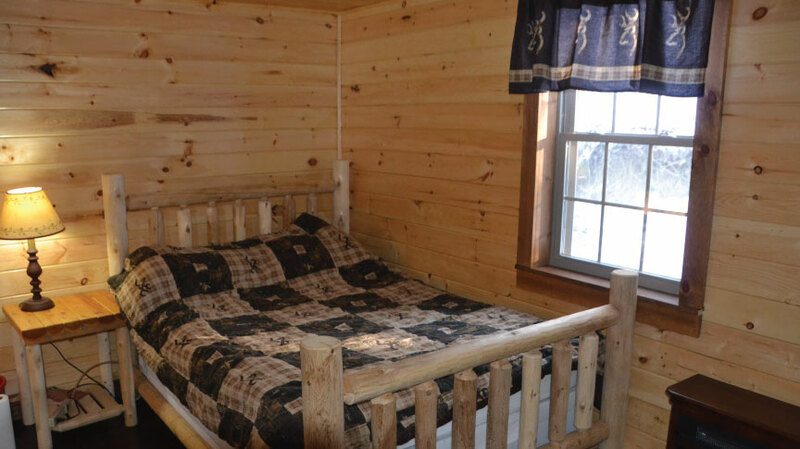 Nestled in a pine forest, overlooking the picturesque pond sits our cozy cabin. 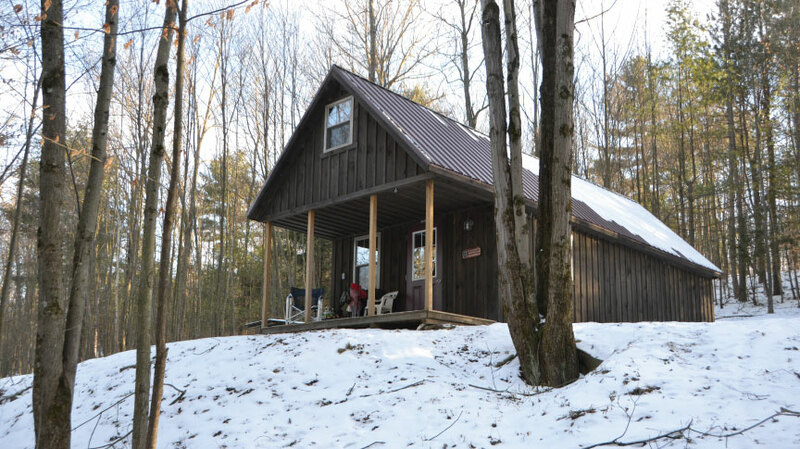 Everything about this abode, from the tongue and groove pine finish to the two loft areas to the beautiful view from the front porch, spells home – sweet- home! 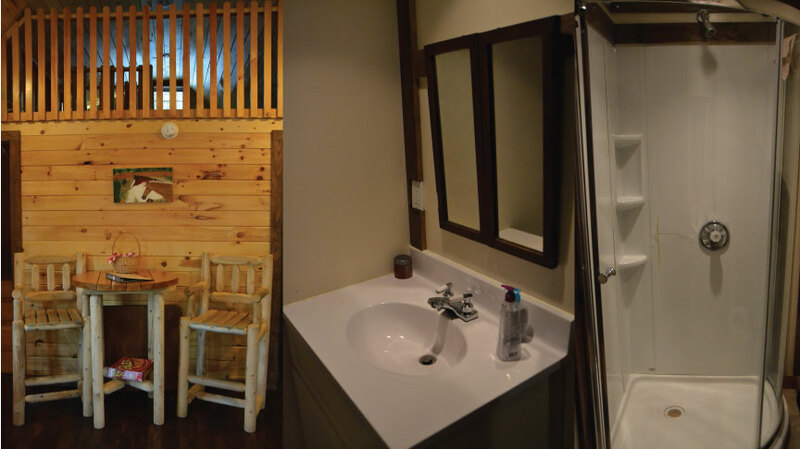 Perfect for a weekend get- away, the cabin opens its door to welcome you and your family. 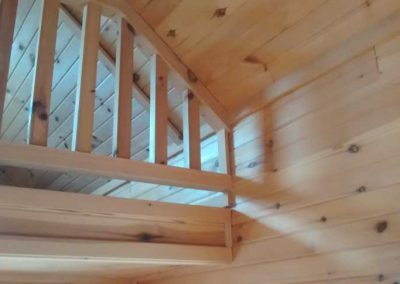 Start your day with a spectacular sunrise and end it with the quiet of the evening as you roast marshmallows around an open fire. 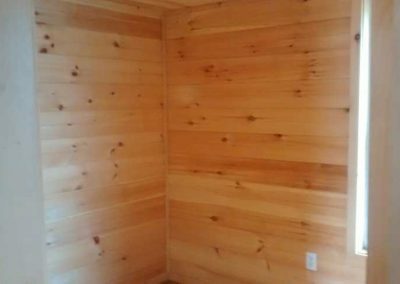 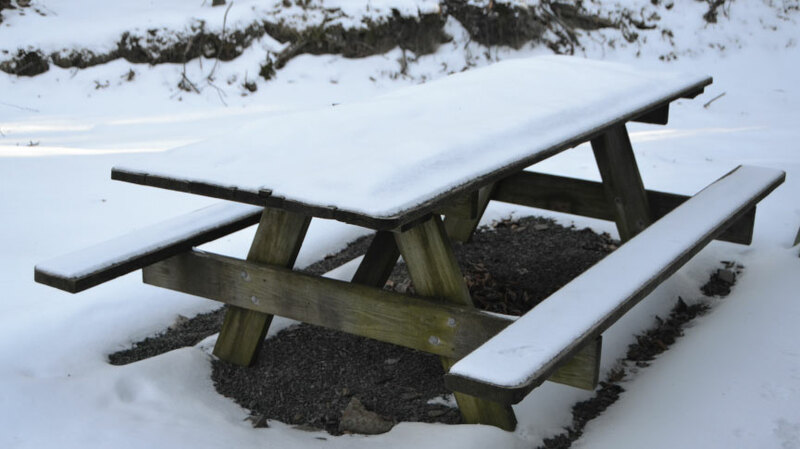 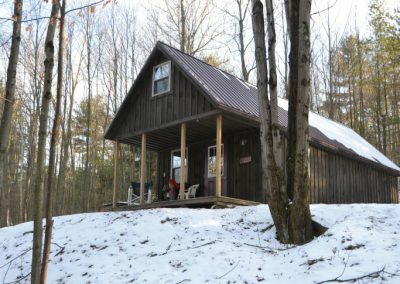 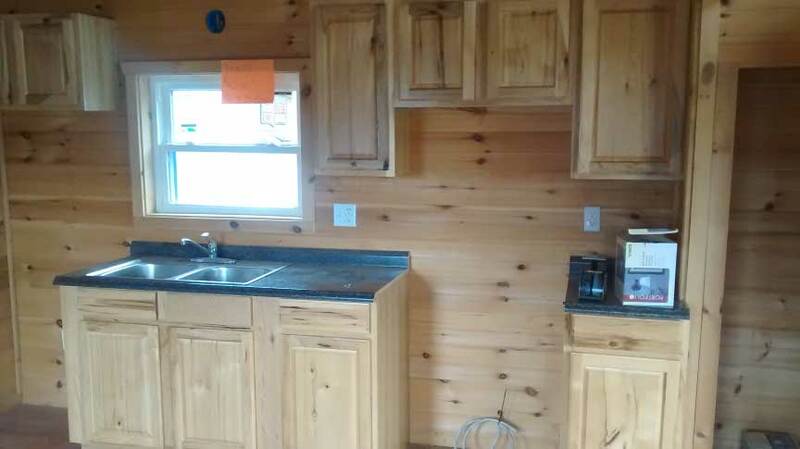 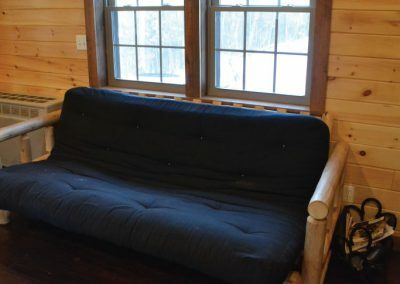 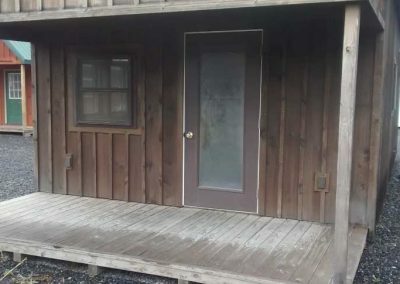 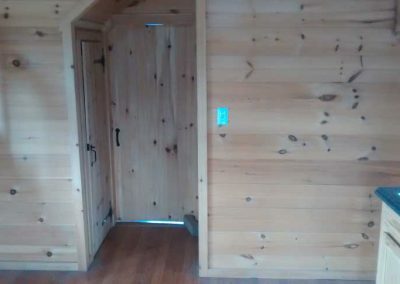 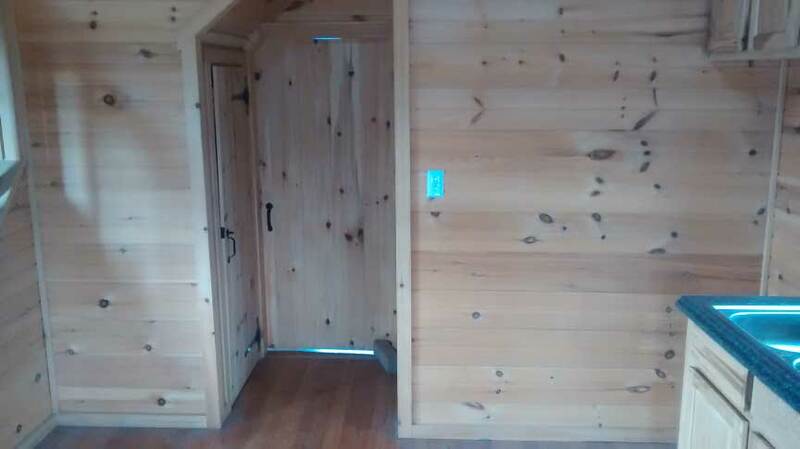 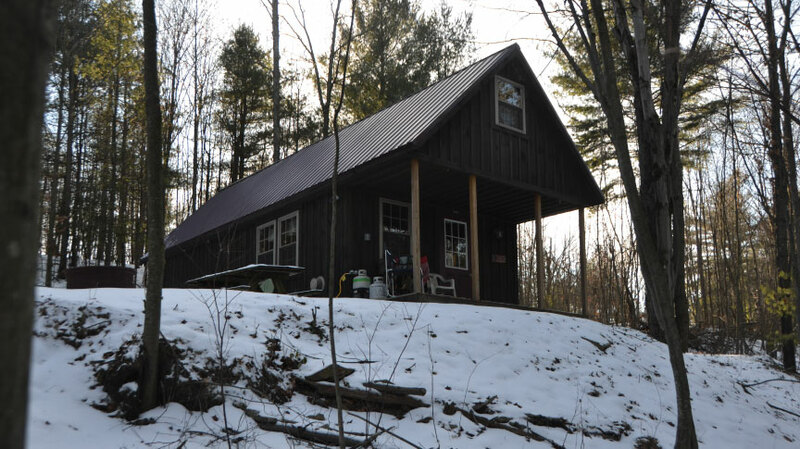 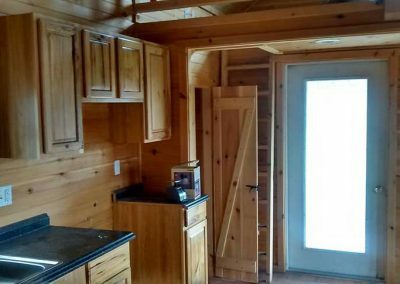 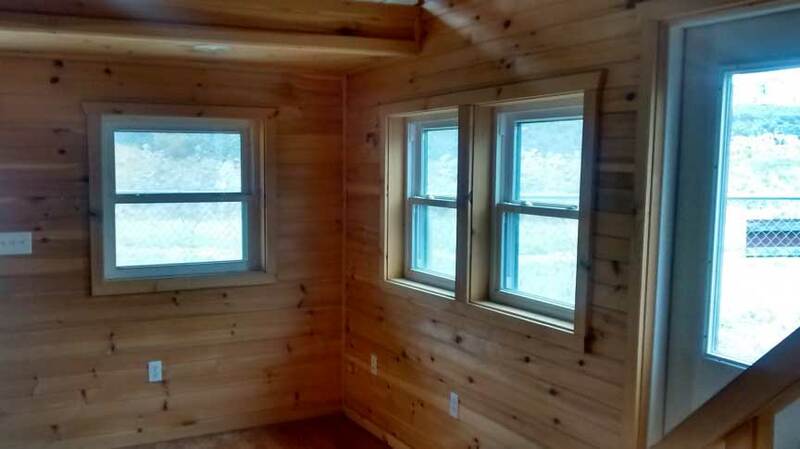 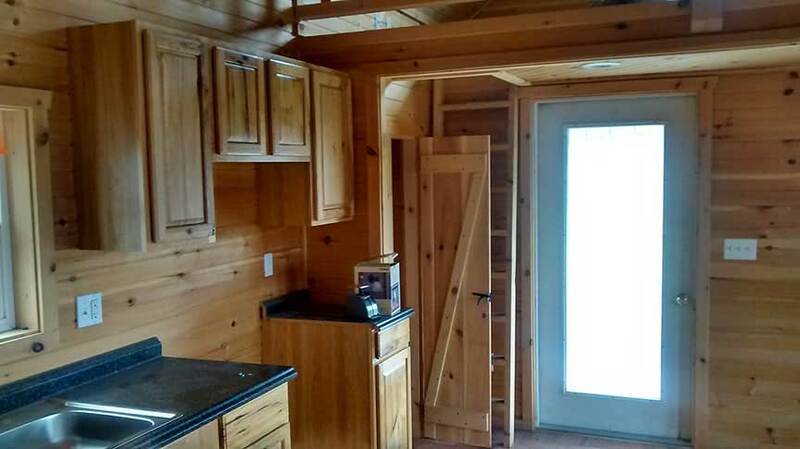 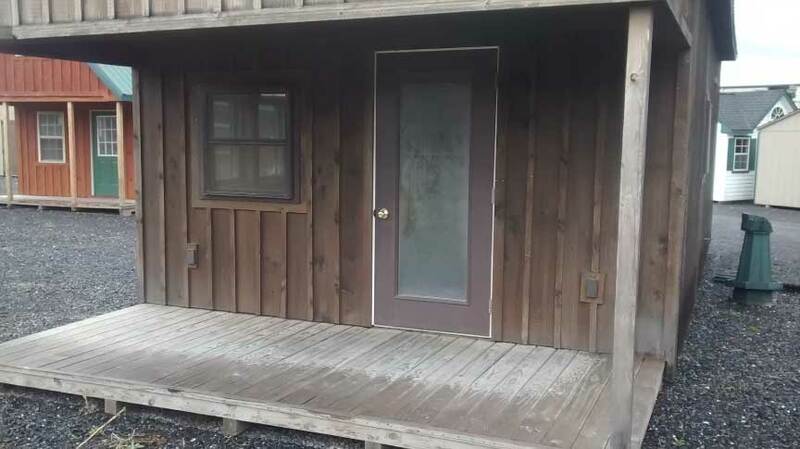 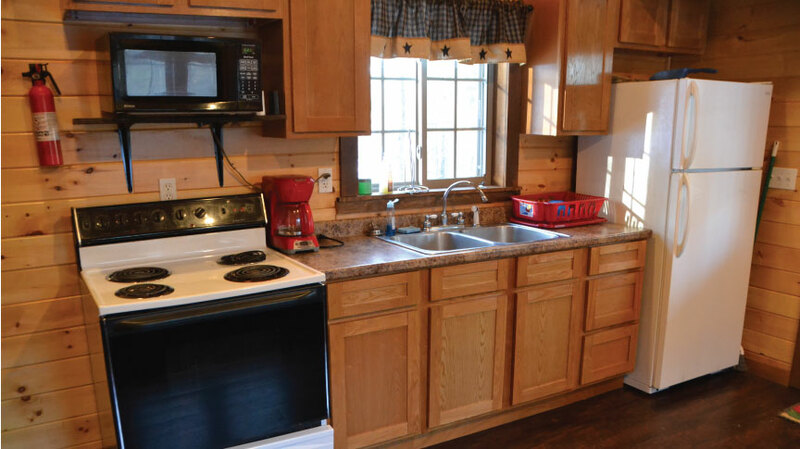 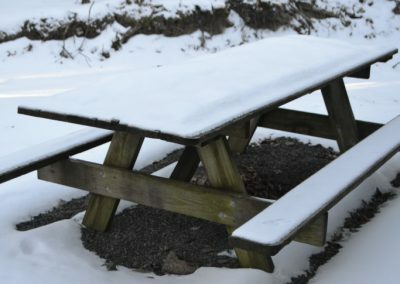 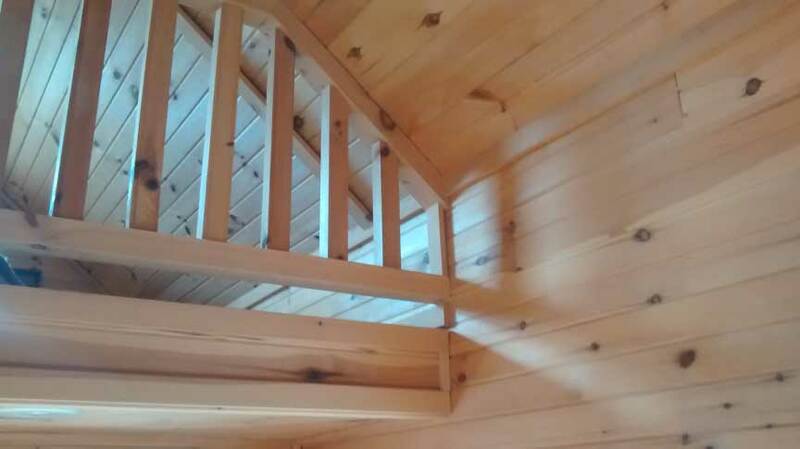 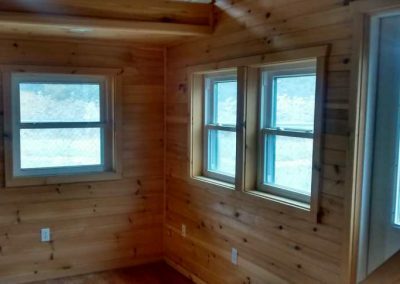 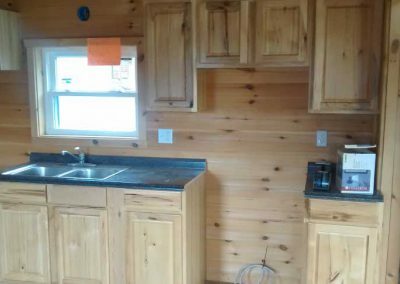 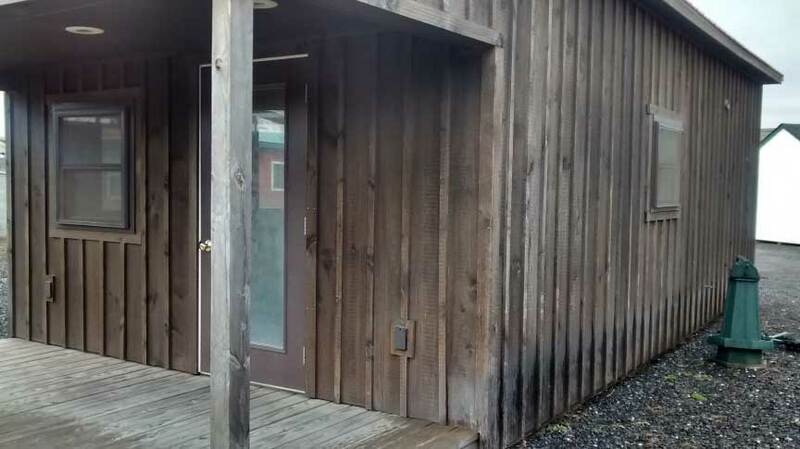 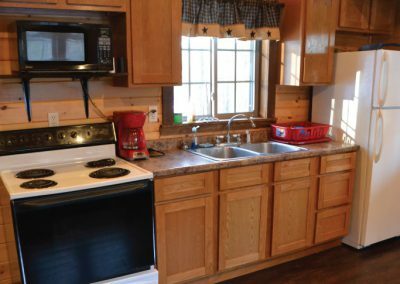 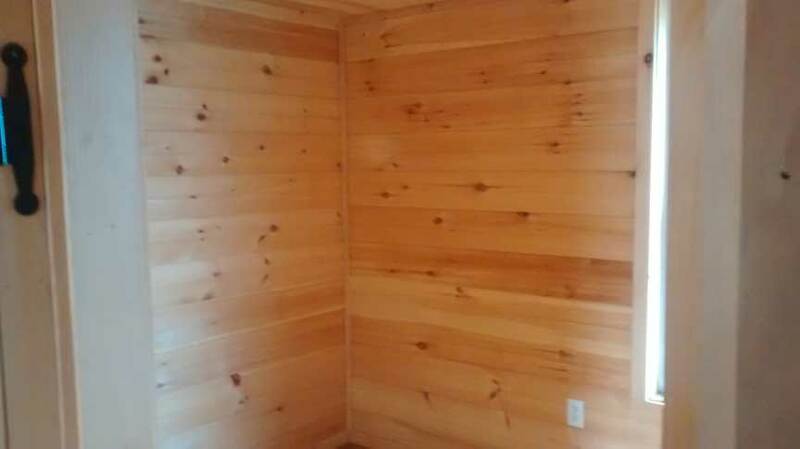 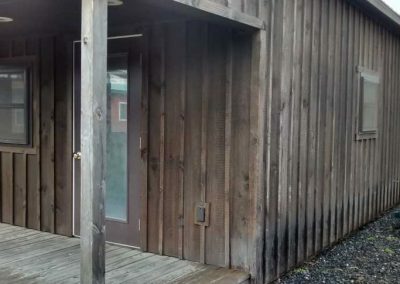 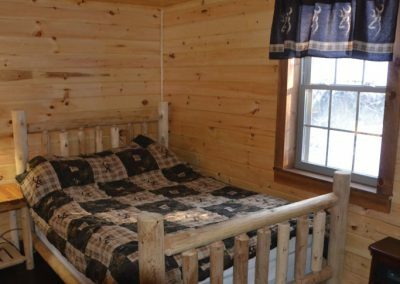 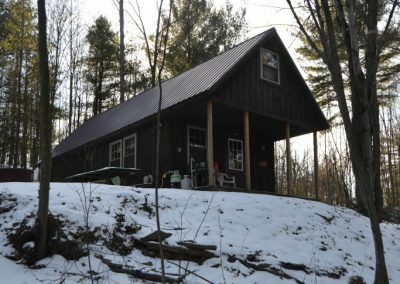 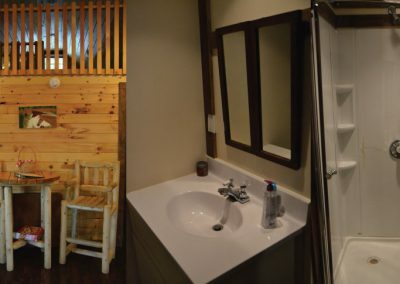 Accommodating up to ten people, the cabin is completely furnished and equipped with amenities such as a full kitchen, a full bath with shower, a bedroom with a full sized bed, two loft areas with bunk beds and an outdoor picnic area. 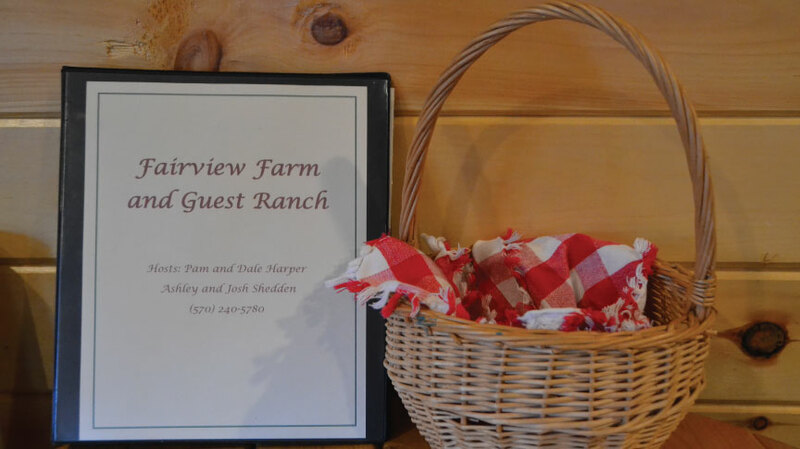 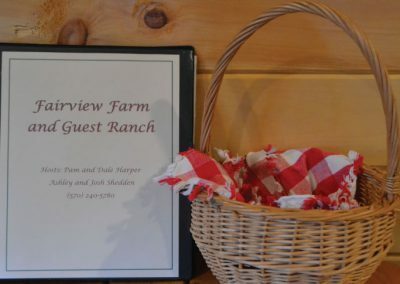 Couple these great accommodations with other activities offered here on the farm, and you might just get a vacation which you will want to write home about!